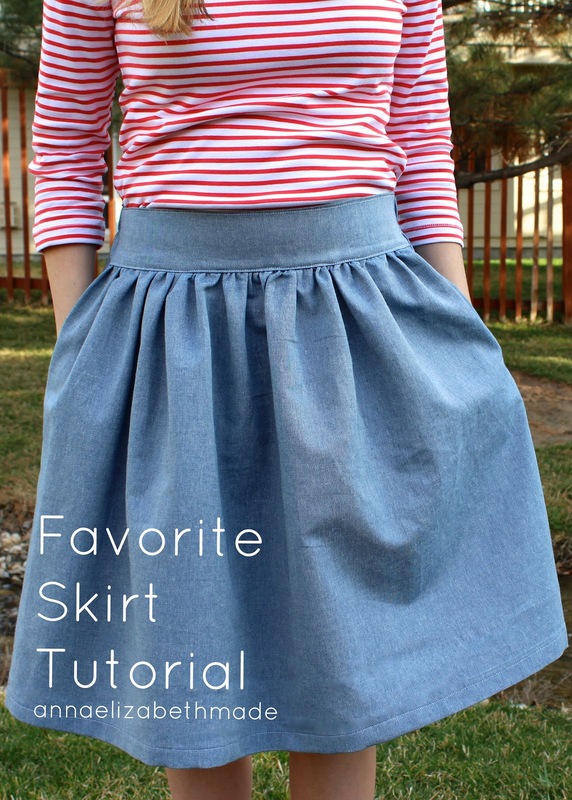 I'm finally sharing the tutorial for my favorite skirt! 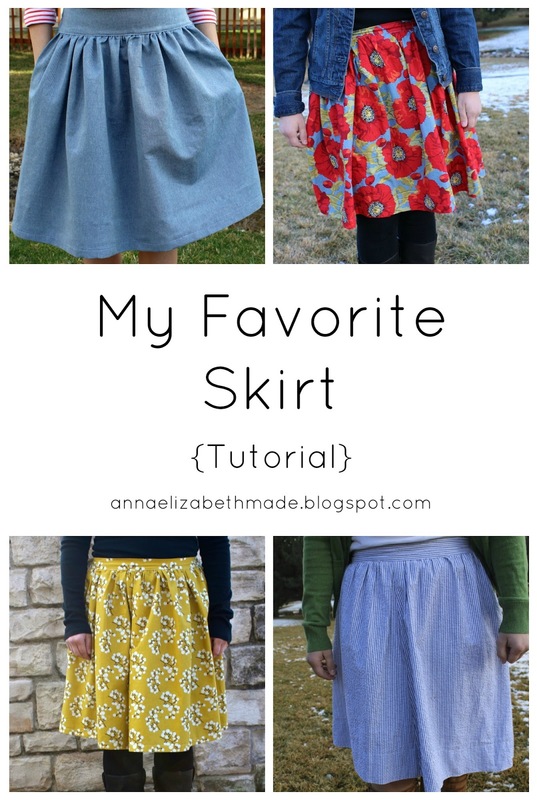 Almost all my skirts are made from this tutorial, it's pretty simple and it turns out great every time. 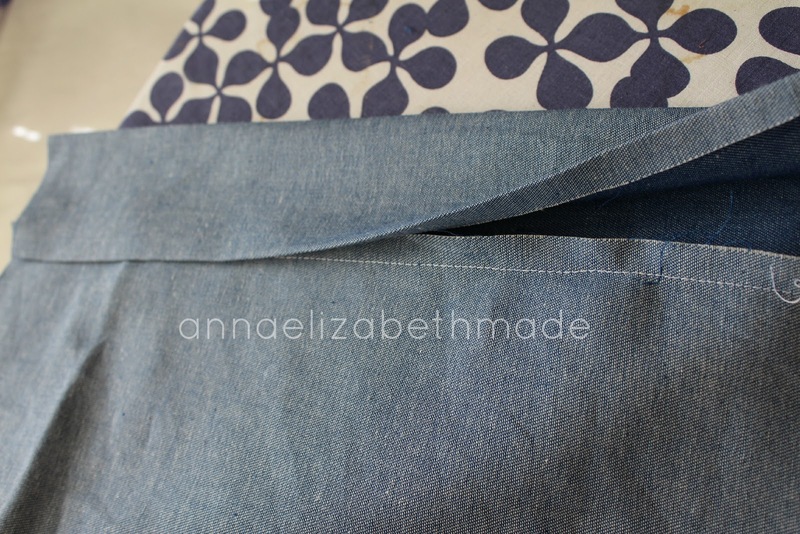 It has a flat waistband in the front and elastic in the back so no zippers or buttons are needed! There are no complicated patterns to cut out, just four rectangles. There are also lots of fun ways to mix up this pattern by add a contrasting band at the hem, pockets, or a bow around the waist, etc. 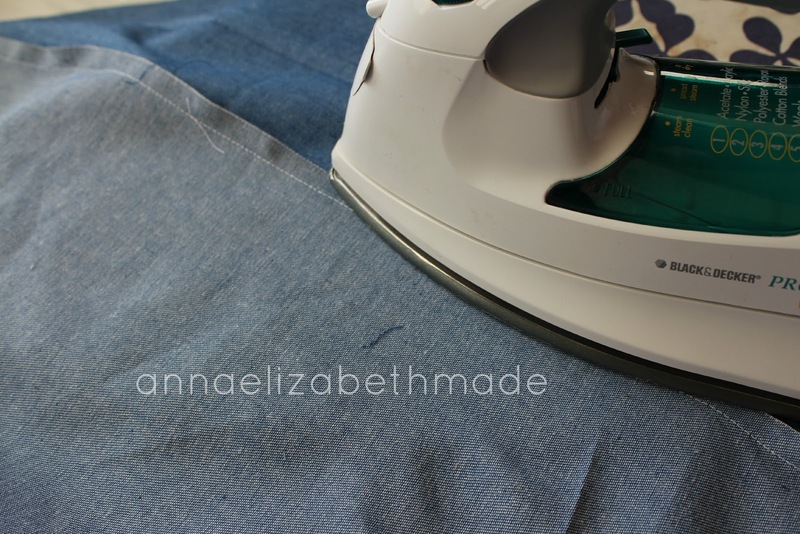 You can see a lot of other skirts I made using this method in this post. Click on the link below to see the full tutorial! If you want a skirt longer than 23 inches, buy 2 yards. 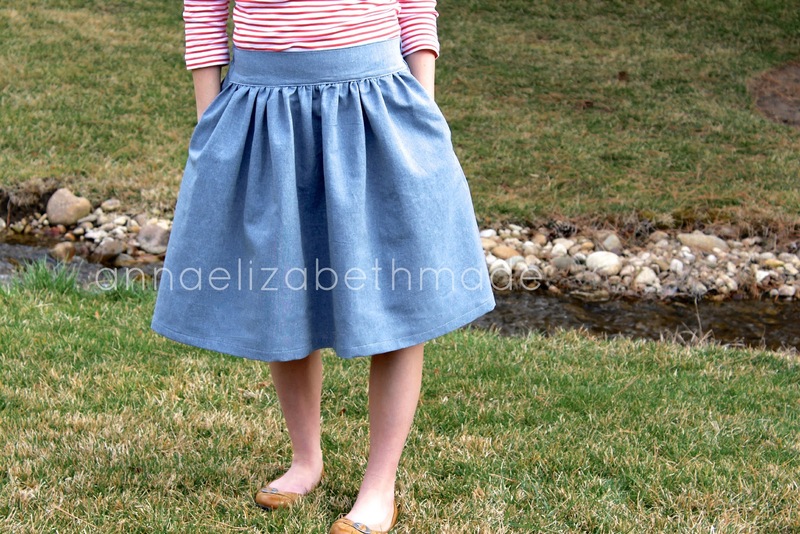 I've made this skirt using cotton, seersucker, and now chambray. Most fabrics will work, but lightweight fabrics are best. Measure your waist where you like skirts to sit. Also decide how long you would like the skirt to be. 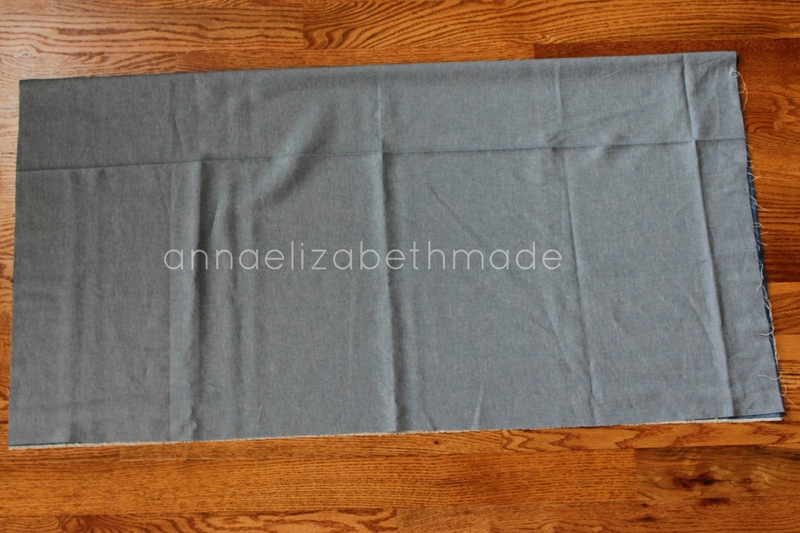 The fabric that I used for this skirt was 60 inches wide, but 45 inch fabric works just as well. 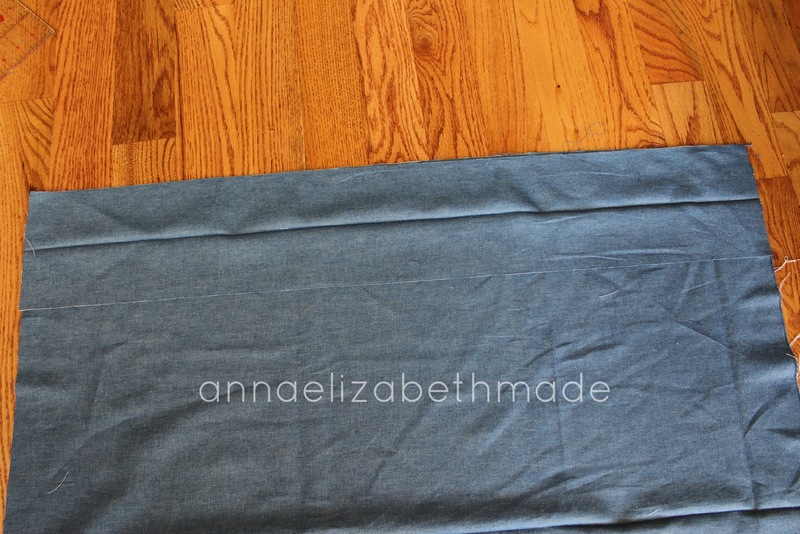 Fold the fabric in half along the longest side or "hotdog style." 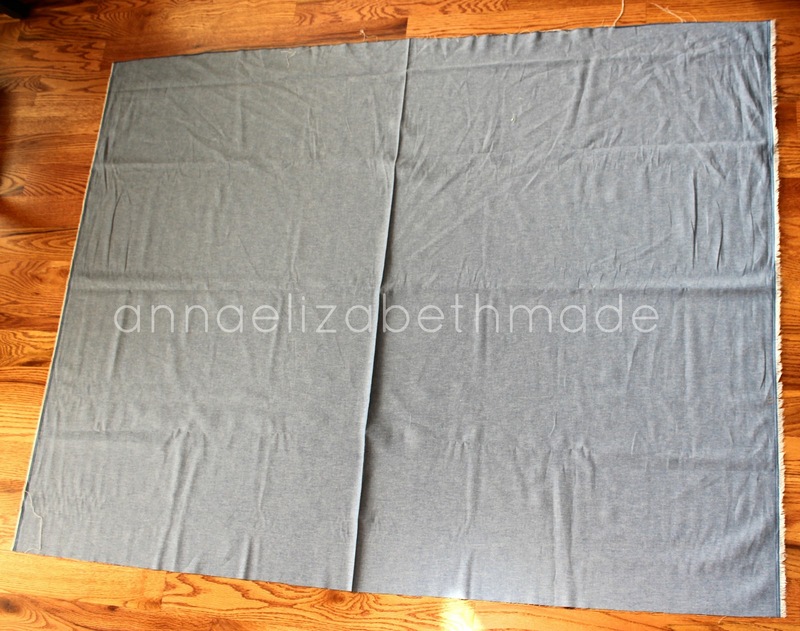 Example, for 30" waist measurement: 30" ÷ 2 +1" = 16"
After you cut the waistband pieces you should have a large piece leftover. Cut it along the fold. 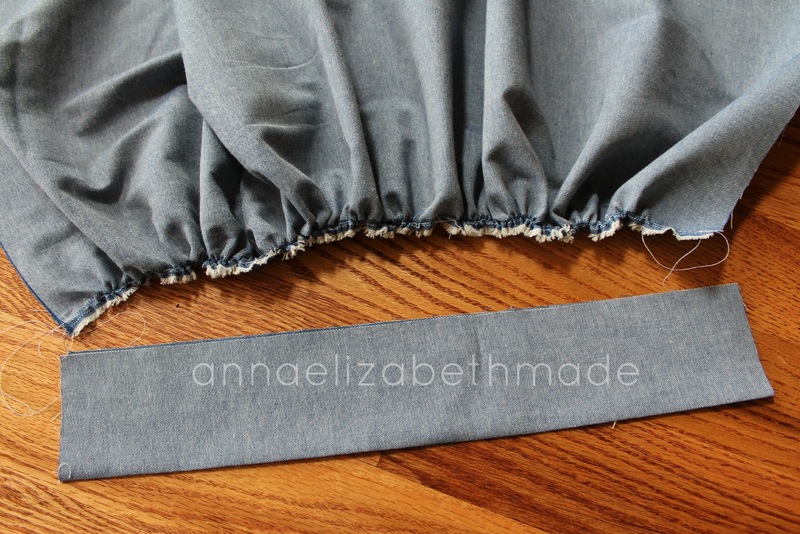 This makes your two skirt pieces- front and back. 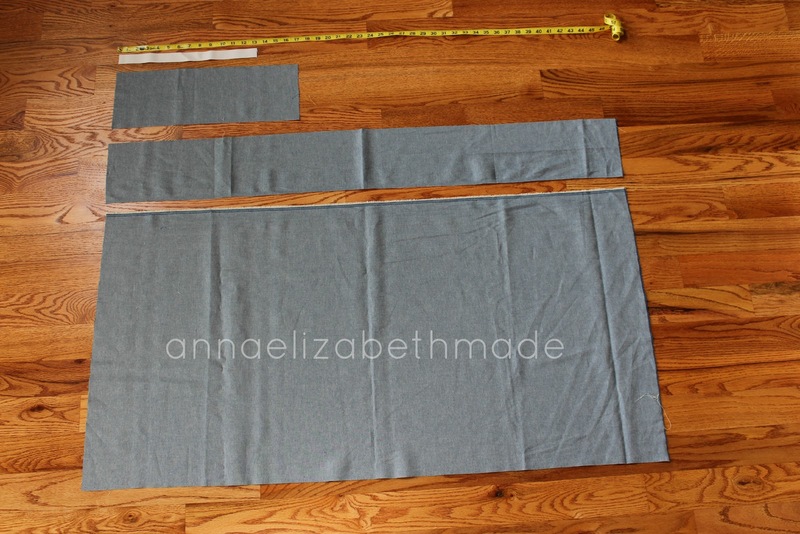 Example: 30" waist ÷ 2 - 3" = 12"
Now all of your fabric pieces are cut out! 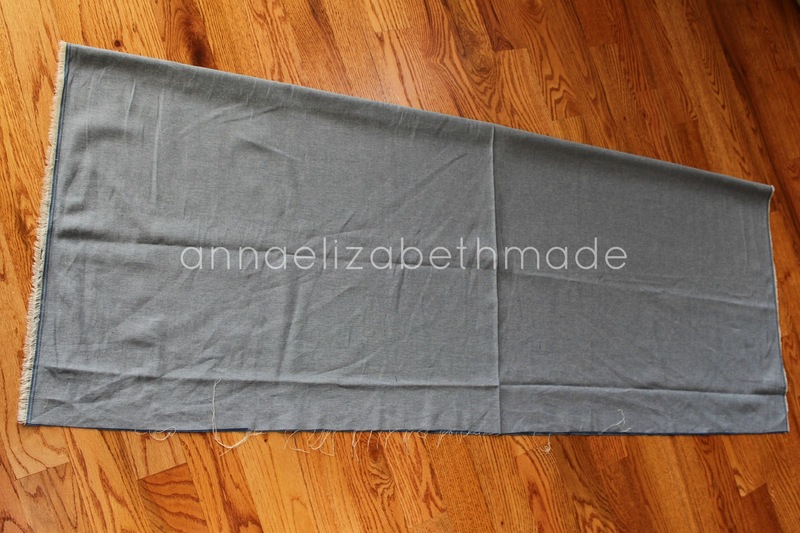 You should have 2 skirt rectangles (only 1 pictured here), 1 long waistband strip, 1 short waistband strip, and the elastic. 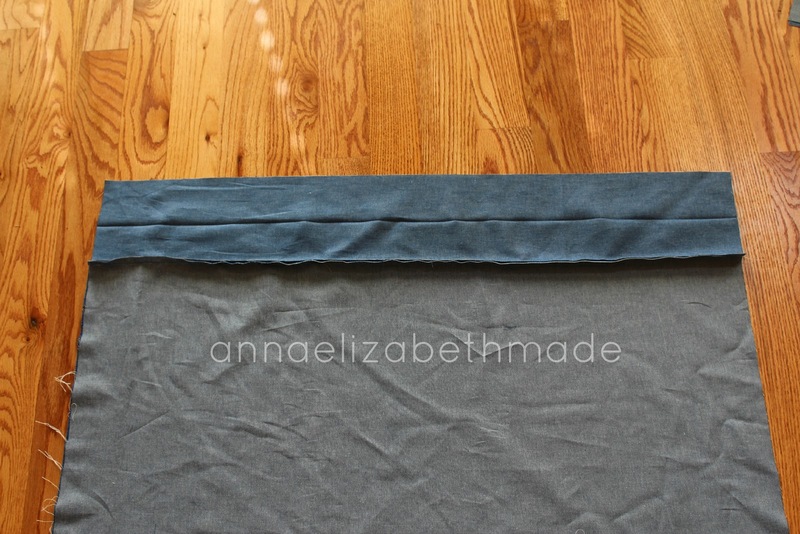 Fold and iron both waistband pieces in half, lengthwise. We are going to make the front of the skirt first. Take one the skirt pieces and gather it along the long side. 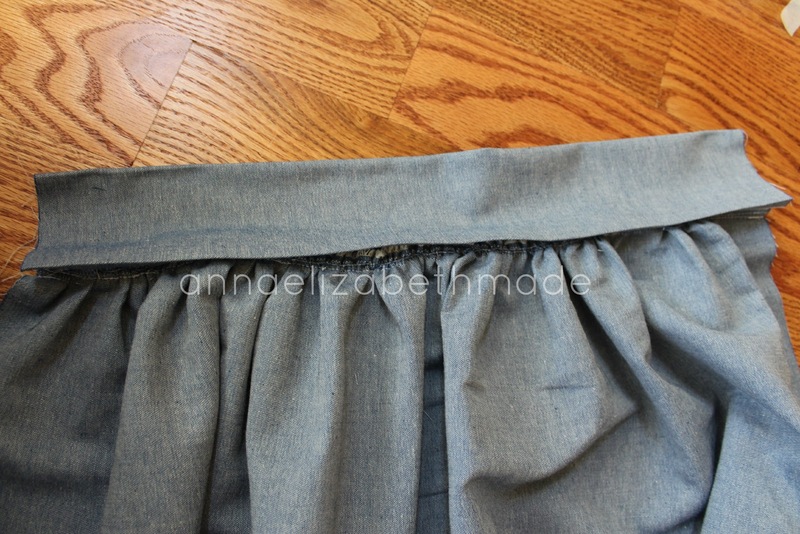 Pull the gathering threads tight until the skirt is the same length as your shorter waistband piece. 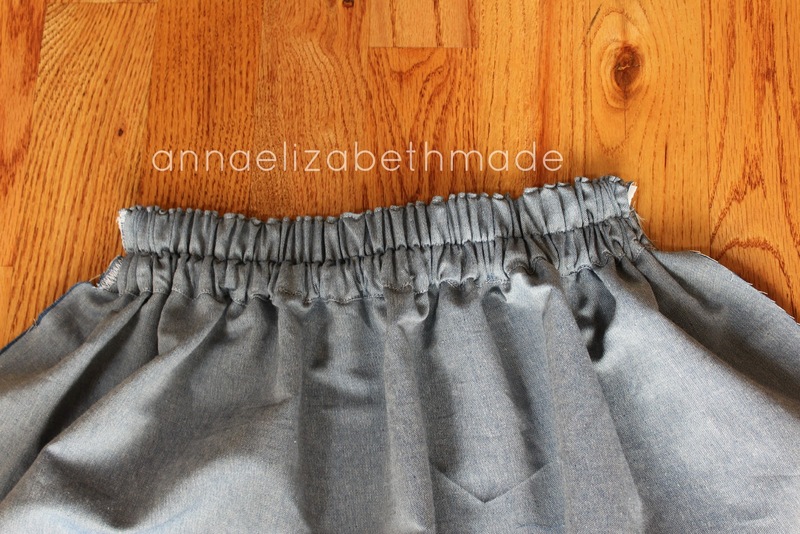 Unfold the waistband piece and pin it to your gathered skirt. 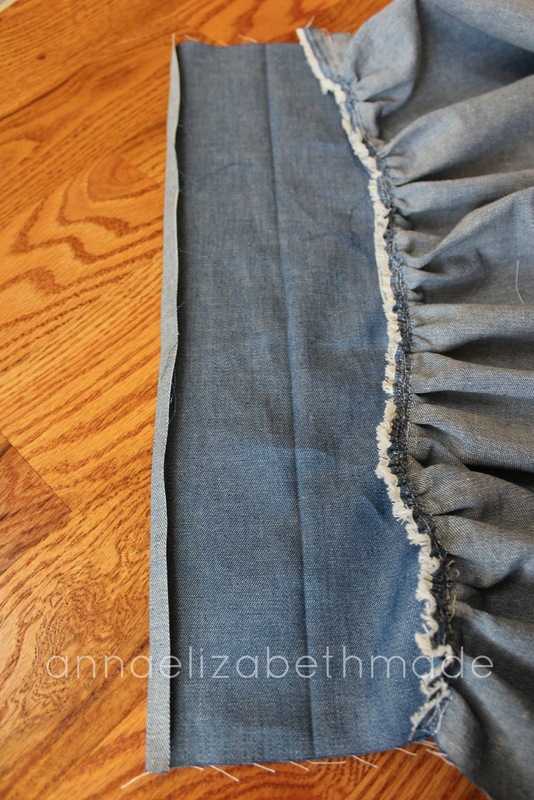 Lay both the skirt and waistband down so that the wrong side of the fabric is facing you. 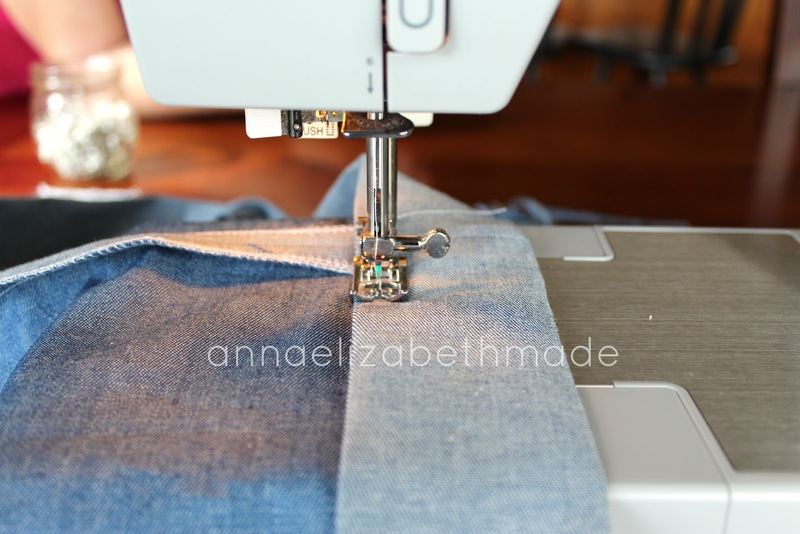 Sew along the side that you pinned. 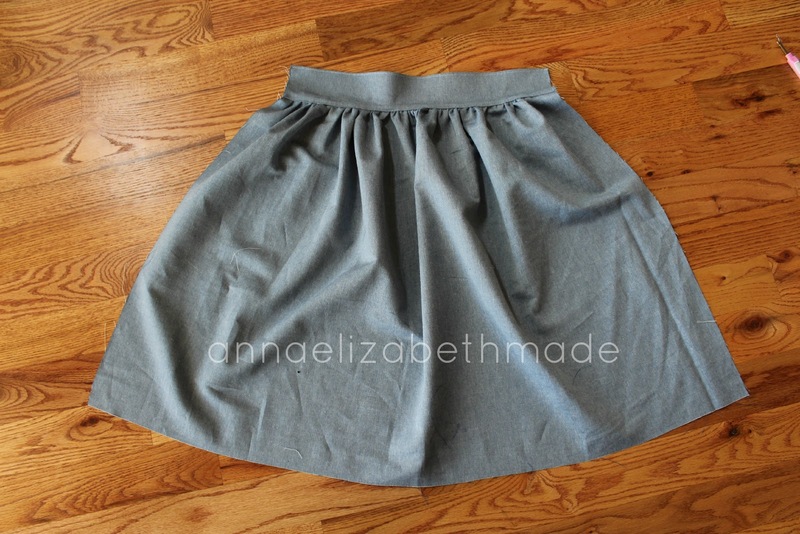 After the waistband is sewn to the skirt, it should look like this. 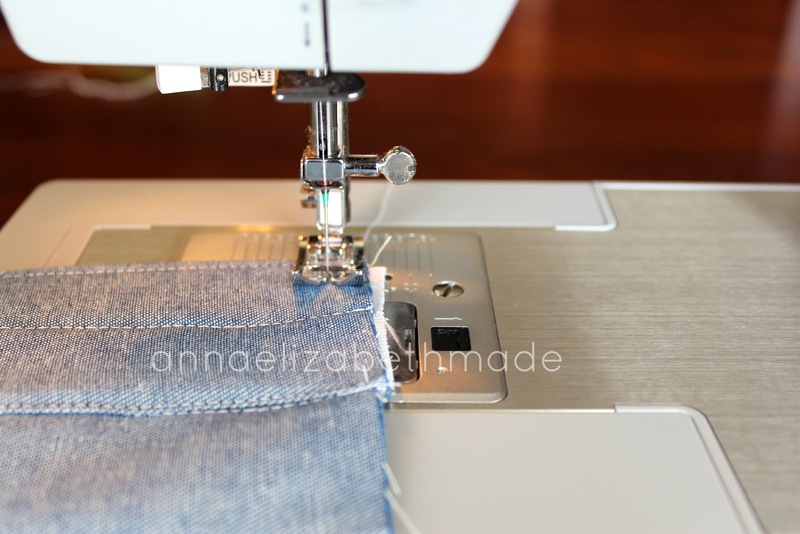 Turn the fabric so that the raw edge of the seam is facing up. 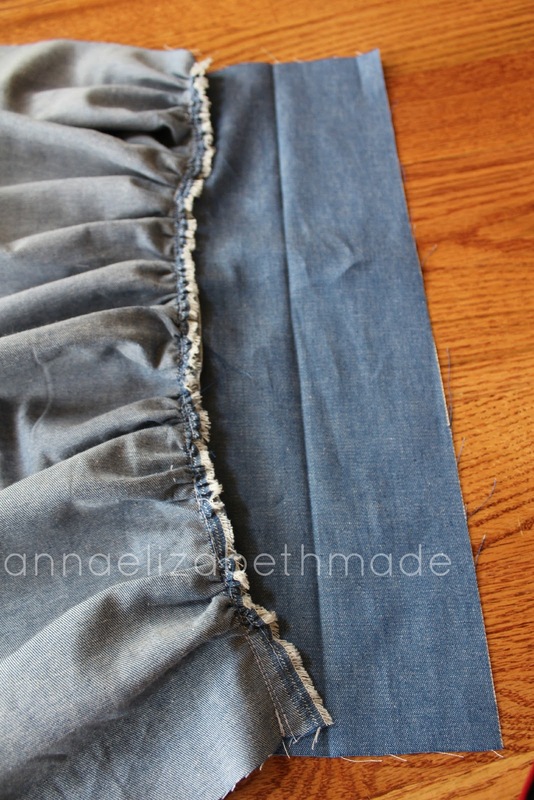 Iron the seam so that it is turned toward the waistband piece and not the skirt. 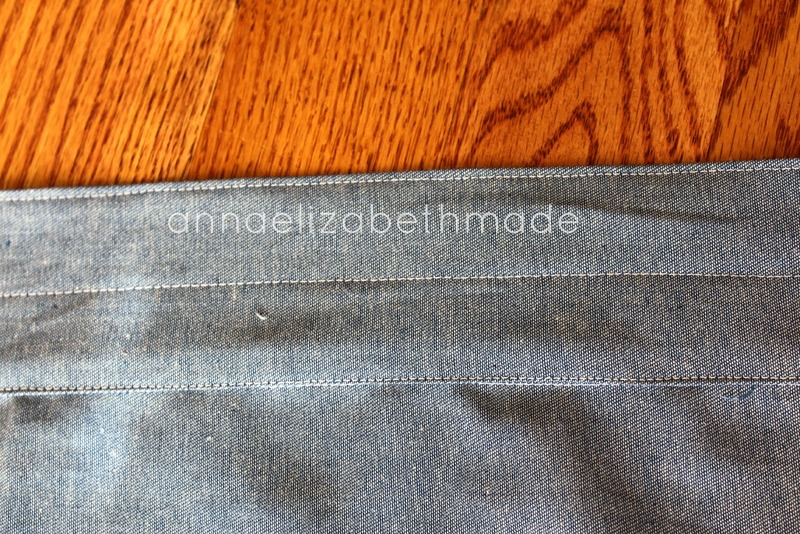 Fold and iron the waistband piece over 1/4" along the edge. 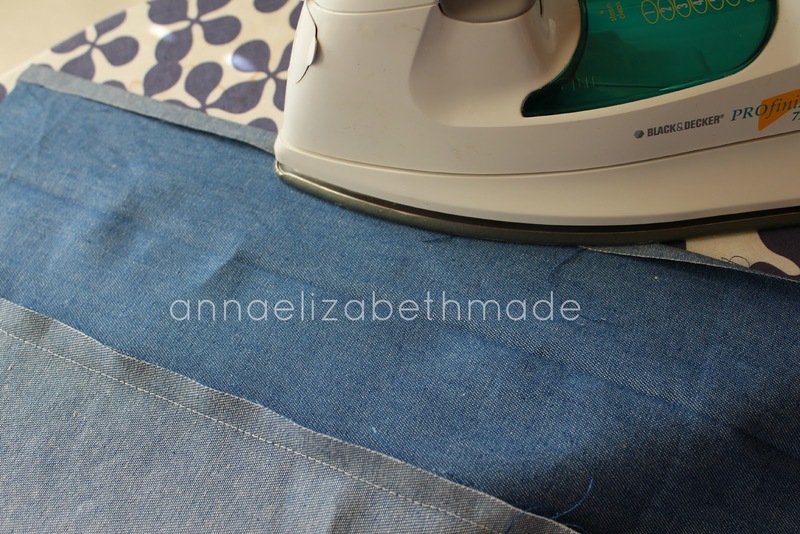 Iron interfacing onto the waistband, leaving a 1/4" border with no interfacing. Peel the paper off your interfacing. 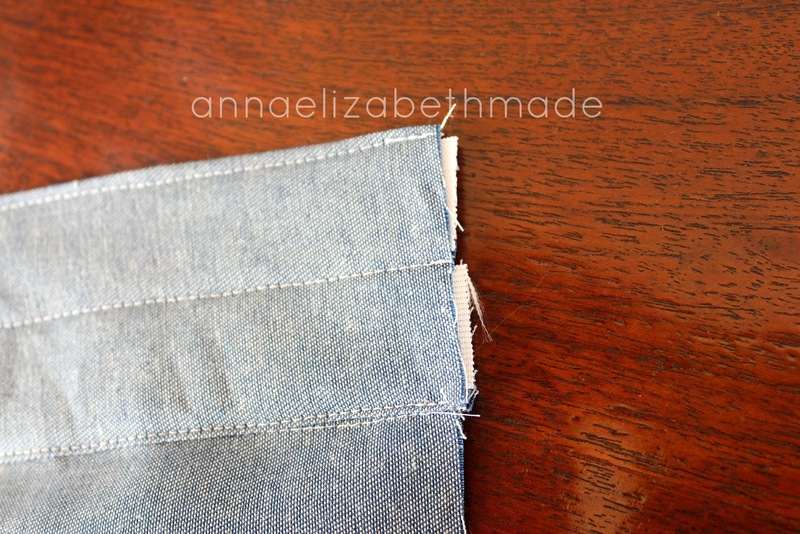 Fold the waistband over so that it covers the stitches from your last seam. 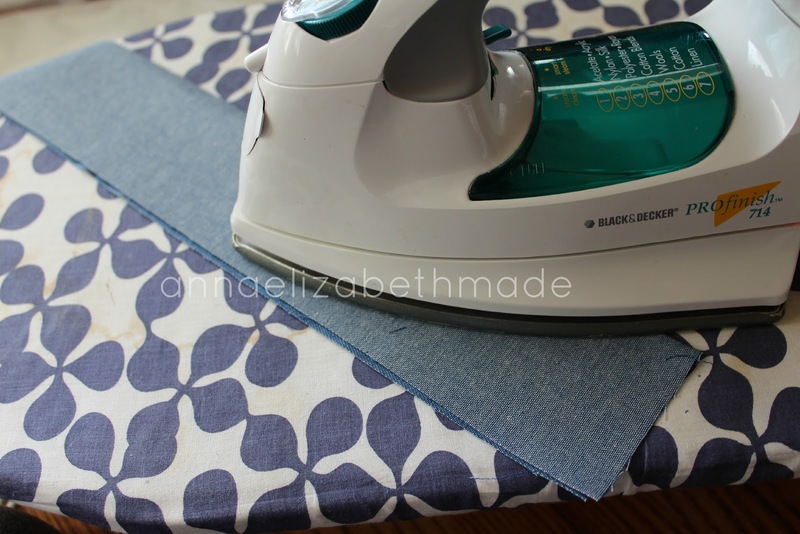 Iron the waistband down. 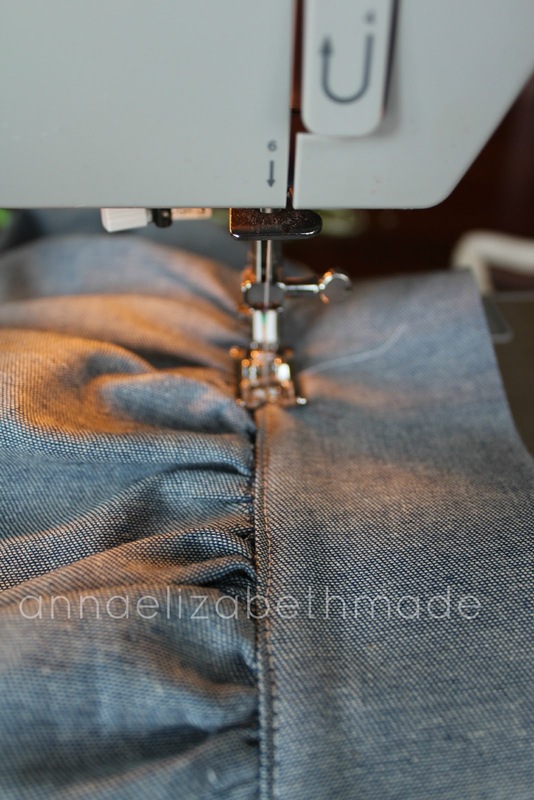 Top stitch the waistband onto the skirt. I used a very tiny seam allowance here, just eyeballing it. Top stitch along the top of the waistband. This is just for looks. Yay! The front of the skirt is done! 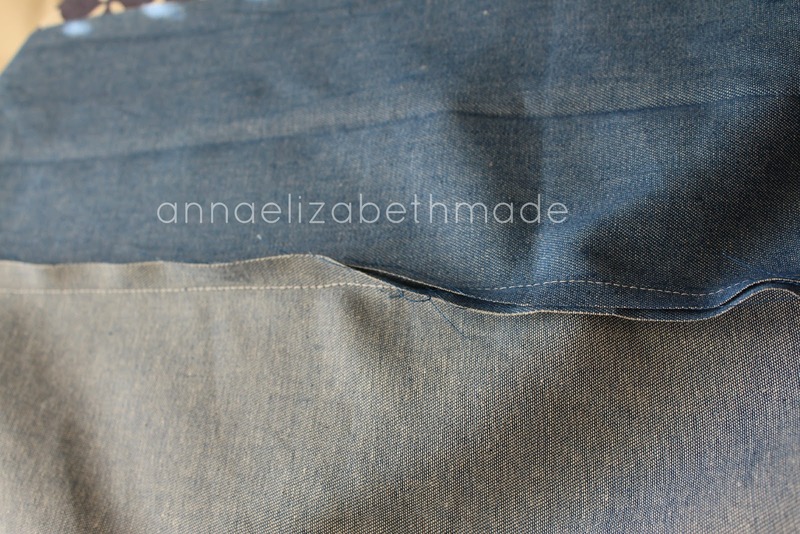 It's okay if the waistband is a little wavy like mine, it will be flat when someone wears the skirt. Now we are going to make the back of the skirt. 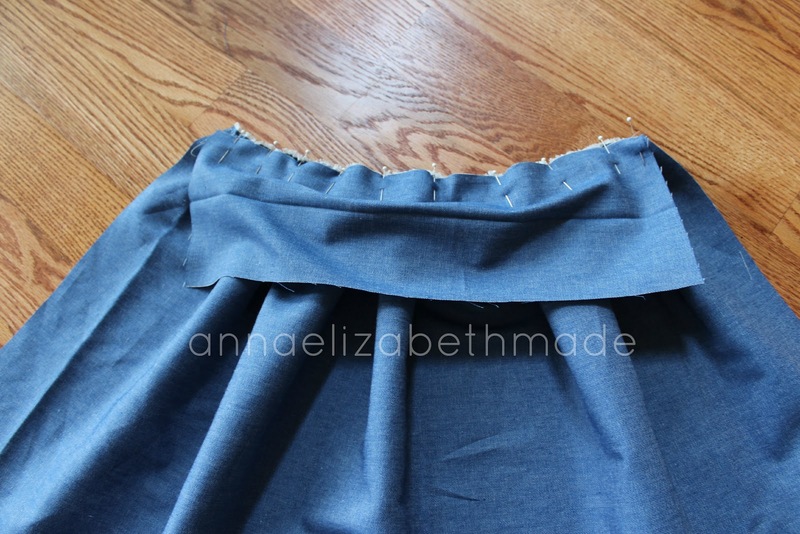 Unfold your long waistband piece and lay it on top of your second skirt piece. 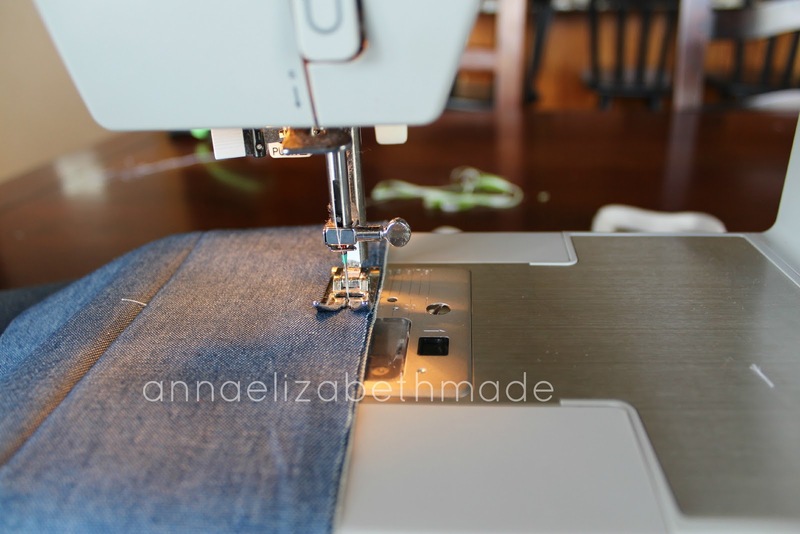 Make sure the wrong side of both the waistband and the skirt are facing you. 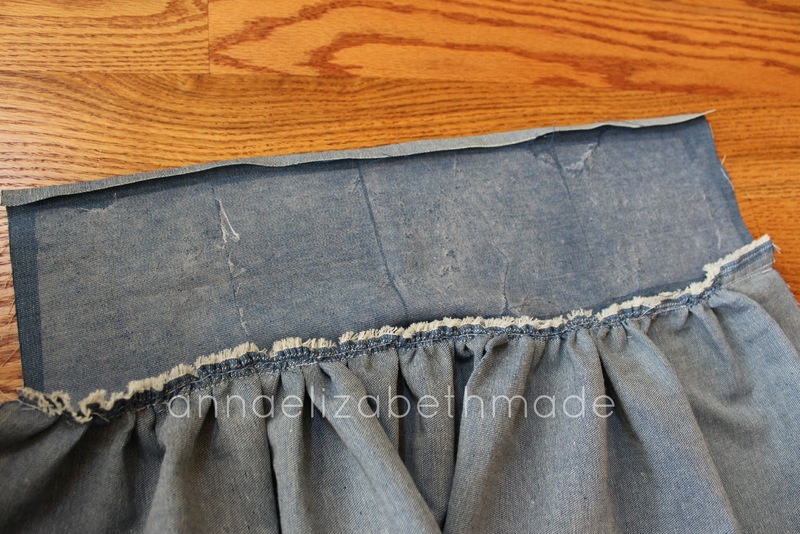 Iron the seam so that it is turned toward the waistband and not the skirt. Fold and iron the top of the waistband over 1/4". 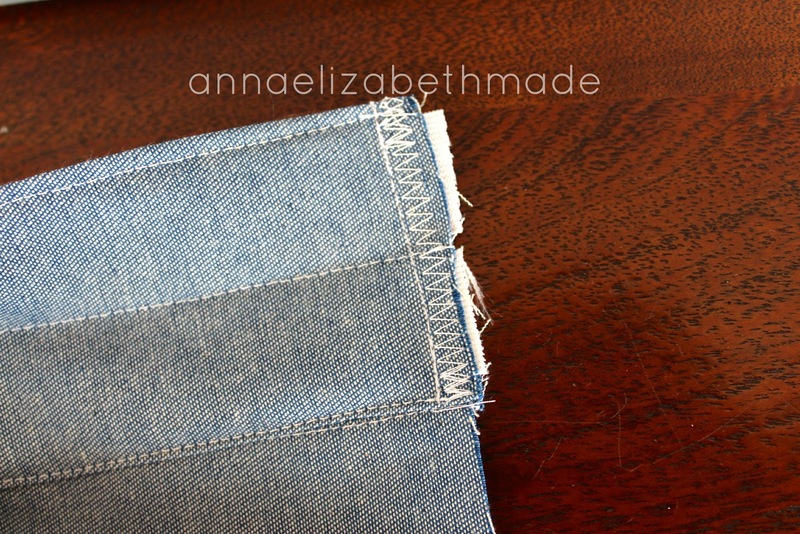 Fold over the waistband so that it covers the stitches from your last seam. Top stitch along the bottom and the top of the waistband. 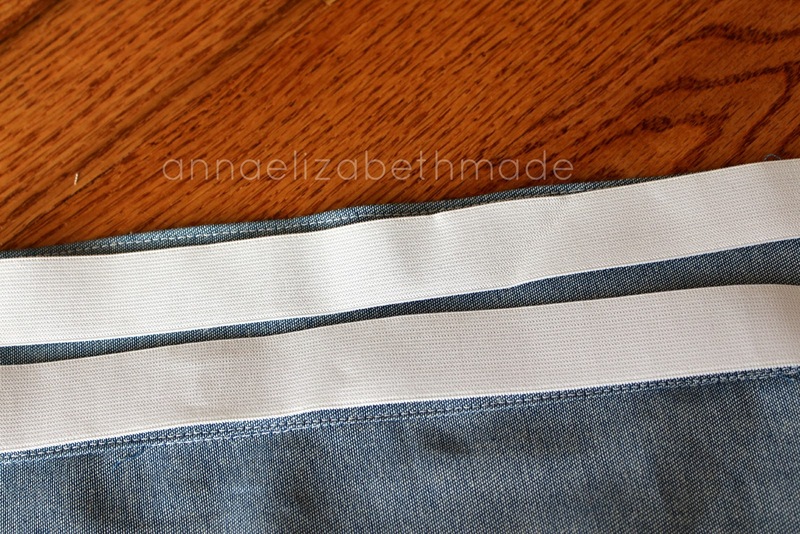 My waistband was too wide so I used two strips of elastic and made a second casing. Normally you will just have one elastic casing. 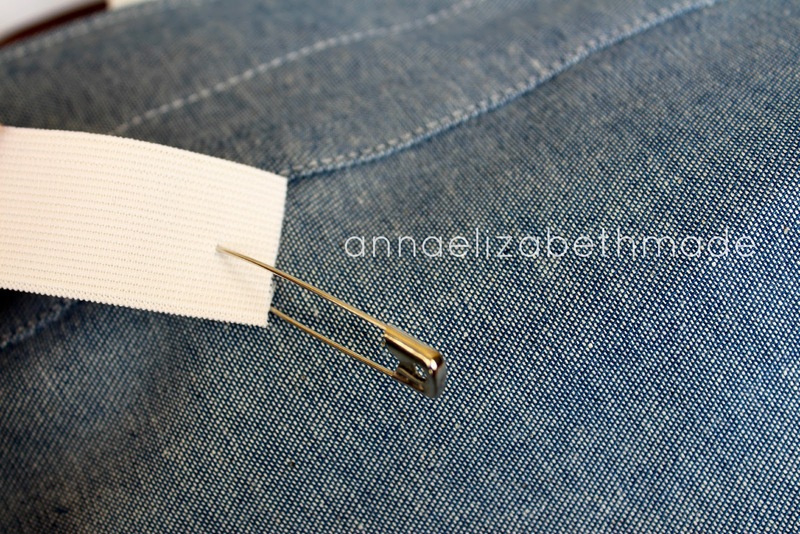 Put a safety pin on the end of your elastic and feed it through the casing. Stop feeding the elastic through when there is just a tiny bit of elastic left at the opening. 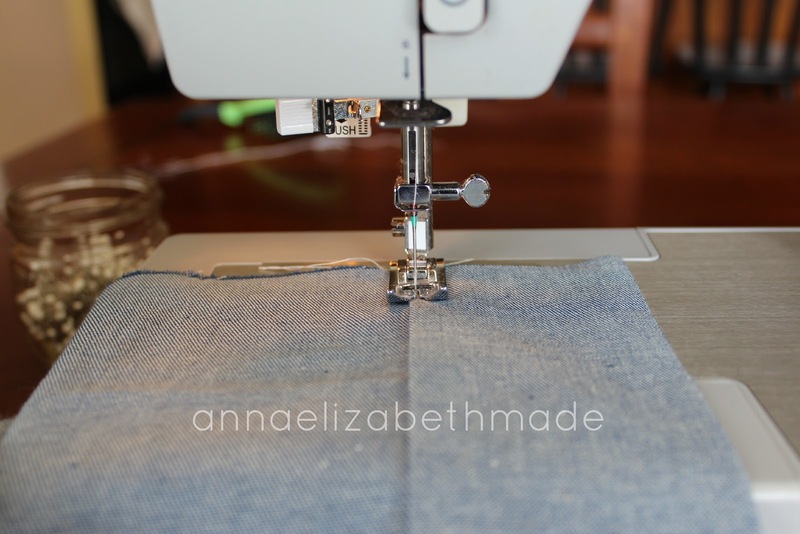 Sew a line down the side to keep the elastic in place. You can zig-zag the edge to make it extra secure. 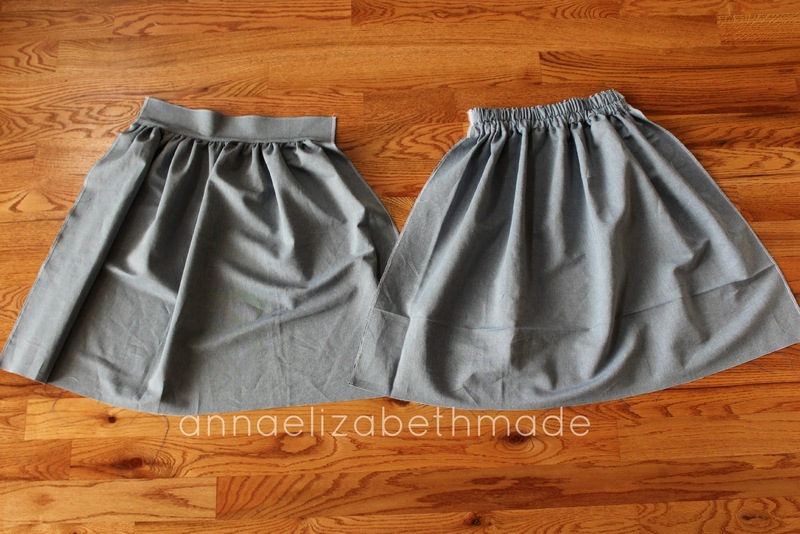 Now both the front and back of your skirt are done! 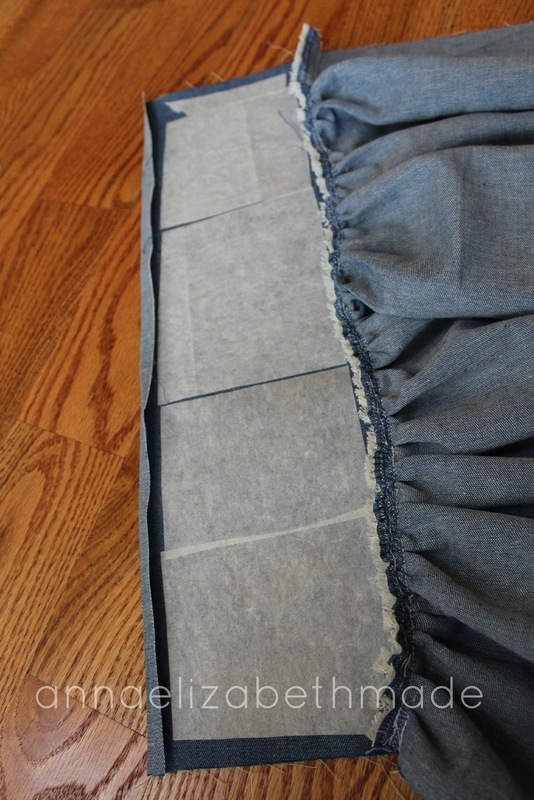 Sew the skirt together by putting the front and back pieces together with right sides facing each other. 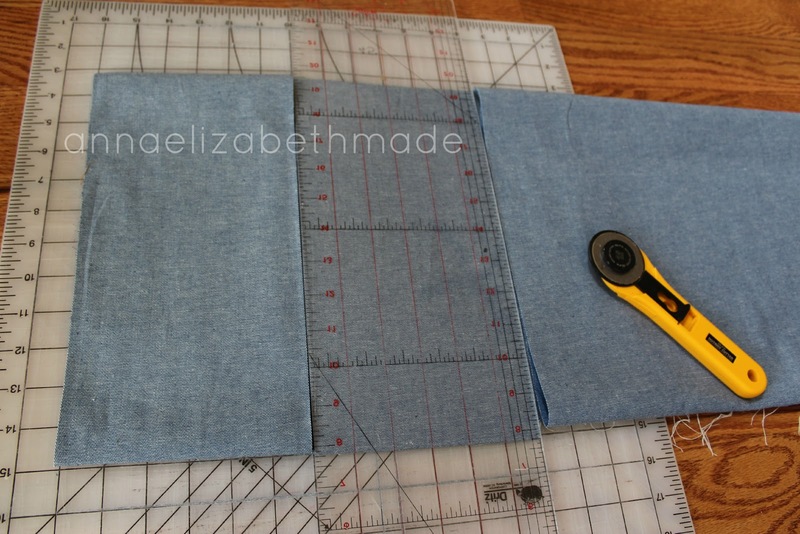 Sew down each side. If you would like, serge or zigzag the edges. 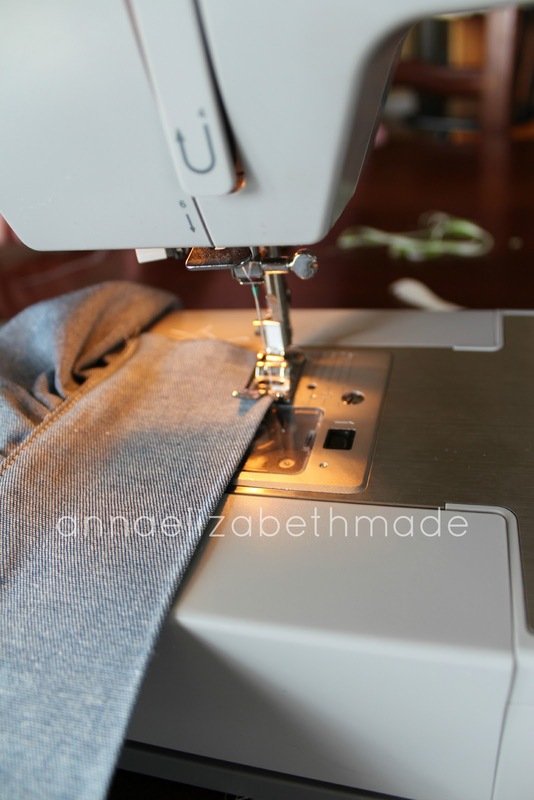 *If you want to add pockets, put them in before sewing up the sides. 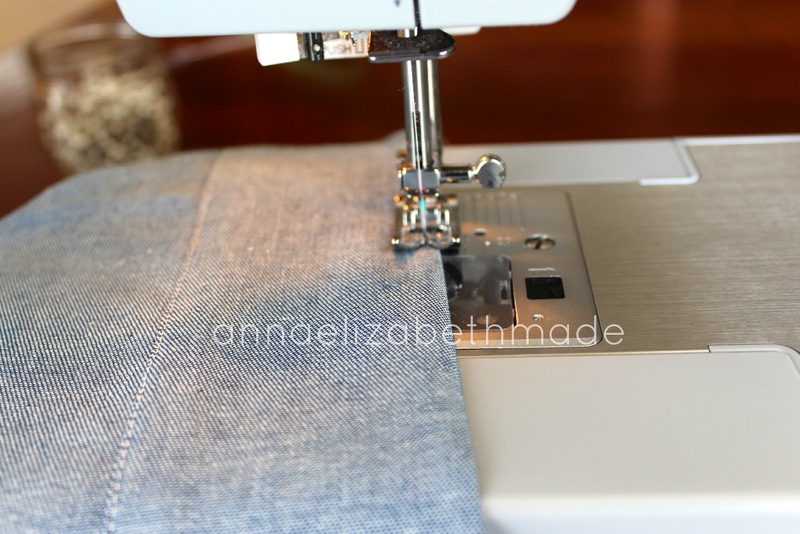 Hem the bottom of the skirt to your desired length. All done! Enjoy your new skirt! Do not copy or use any content or images without permission.. Powered by Blogger.